This attractive, 121-unit, cooperative apartment building is on the site of four townhouses, one of which belonged to Ogden L. Mills and had been designed by Richard M. Hunt. 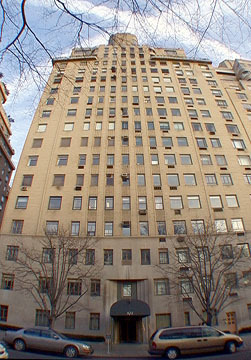 Hunt had been the mentor of Emery Roth, the architect of the high-rise building now on the site. The other townhouses on the site included a residence for Mary Harrison designed by C. P. H. Gilbert, a residence for Maturin Livingston, also designed by Hunt, and a townhouse designed by Welch, Smith & Provot. Originally, the building had 134 apartments, eight of which were duplexes, with a total of 560 rooms. The buff-brick building, which has a three-story limestone base, was completed in 1941 and is notable for its streamlined, Moderne style, highlighted by the glass-brick, rounded corners of the watertank enclosure. 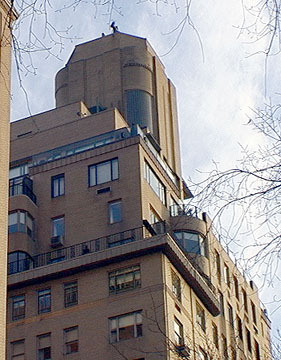 There are rounded bay windows above the first setbacks on the avenue façade and also on most of the side-street façade. The setbacks are strongly accented by cornices that nicely punctuate the building's mass. The building's avenue frontage is not symmetrical and is nicely modulated by a central section accented by vertical piers. Roth, who designed many of the most famous towers on Central Park West such as the San Remo and the Beresford, was the architect also of 880 Fifth Avenue, just across 69th Street, and 930 Fifth Avenue, a few blocks to the north. 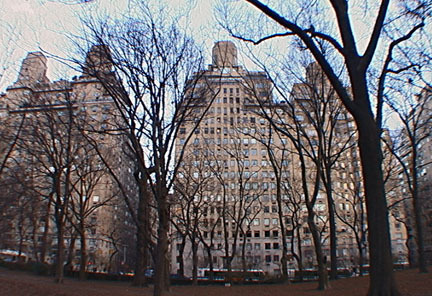 "A symmetrically placed Fifth Avenue entrance led to a streamlined lobby featuring red granite walls and a gray tremolite floor; a second, similarly articulated lobby was approached directly from Sixty-ninth Street," wrote Robert A. M. Stern, Thomas Mellins and David Fishman in their fine book, "New York 1960, Architecture and Urbanism Between the Second World War and the Bicentennial" (The Monacelli Press, 1995). 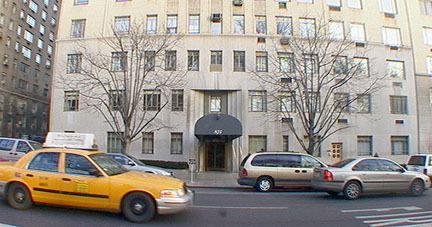 "Although the building exuded a sense of up-to-date style and the rooms were not large," the authors continued, "the layouts reflected the traditional standards of luxury and service that Fifth Avenue residents had come to expect; every unit, even those lacking separate dining rooms or maids' rooms, had a servants' entrance leading from a vestibule connected to the kitchen."